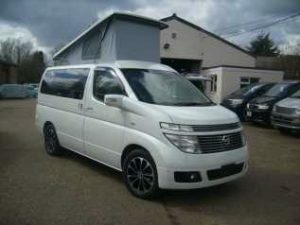 21/03/19: Nissan Elgrand camper vans in stock from only £12995. With our easy lift elevating roof and 4 berth . All high grade 4 cars with warranted mileage. Very important: always ask for proof of mileage when buying any import.